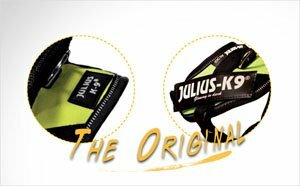 Julius-K9 IDC® Powerharnesses are the flagship of Julius-K9 products! What are the most important properties of these harnesses? First of all they provide the optimum load distribution. Chest straps are placed based on cautious mathematical calculations. They also have many expansions like sidebags, torch holders, unique labels, chestpads etc. Julius-K9 also prioritizes keeping the best quality, so they are constantly testing these harnesses. On certified quality test, the product achieved a tensile strength of 300 kilograms, then the buckle opened, but the harness itself did not break.